Register Log In GliderCENTRAL Forums HELP! I'M NEW... New Owner! Hi everyone! 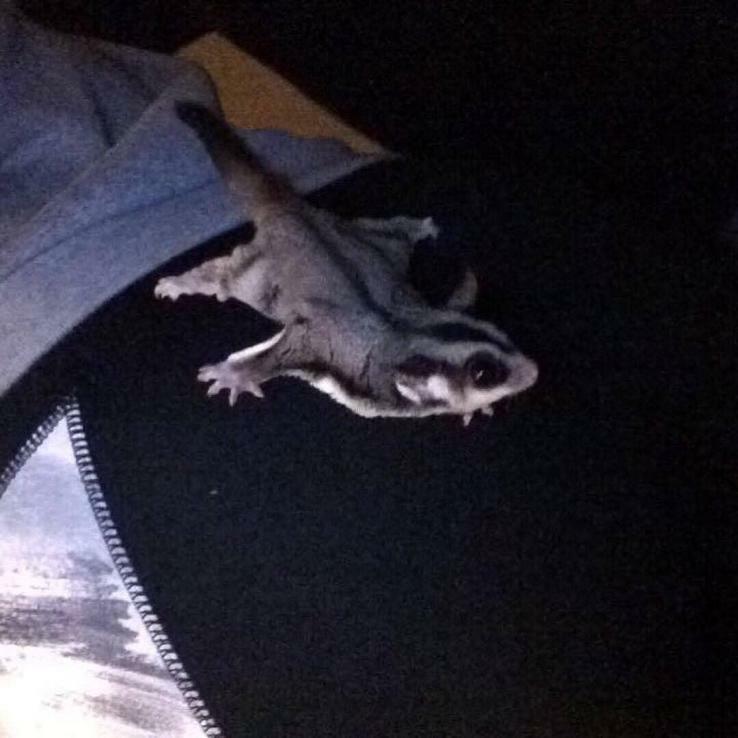 My boyfriend and I just adopted a single sugar glider from friends of ours, he had a cage mate with the previous owners but they unfortunately lost him outside. but I would love to know any tips/tricks you guys have! Especially regarding cage furnishings and bonding as he only came with a food dish, water bottle and heat rock. I've seen a lot of the Admins and Moderators say that heat rocks were a big No-No. Just saw there weren't any comments yet and wanted to let you know before anything unfortunate happened. There's a forum about it in Fact or Fiction. I believe it's the most recent post in that category. Ok, let me try this again! I am on my phone and got a call... fat fingered, and lost the call too! Are you considering finding a buddy? A heat rock isn't necessary. They can lower their body metabolic-ly when necessary. Extra blankies help too. If you are fairly comfortable, they are too. No sleeping pouch? How big is your cage? A pic might be helpful. Besides, we love to see pics ! I agree about ditching the heat rock. Shop around for fleece cage sets, a starter set would be fine for him, or maybe order two starter sets (sets with basics), or one large set, so you can alternate for cleaning. 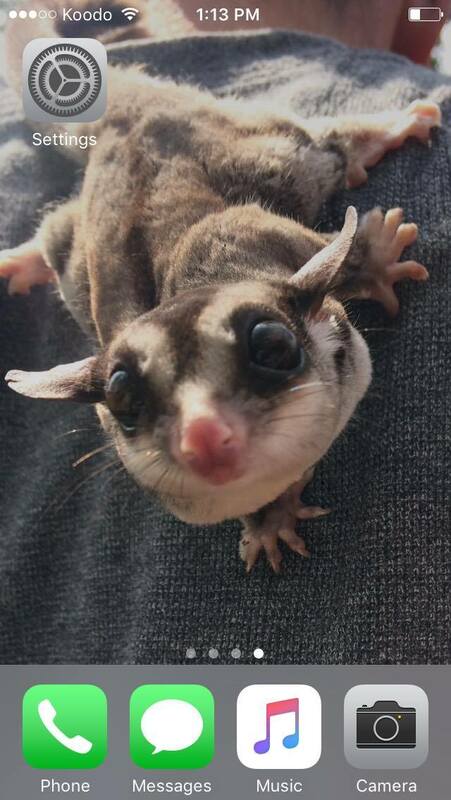 Look into toys, the easiest way is to do a search for sugar glider toys. You can search for homemade toys or ones you can order as well. 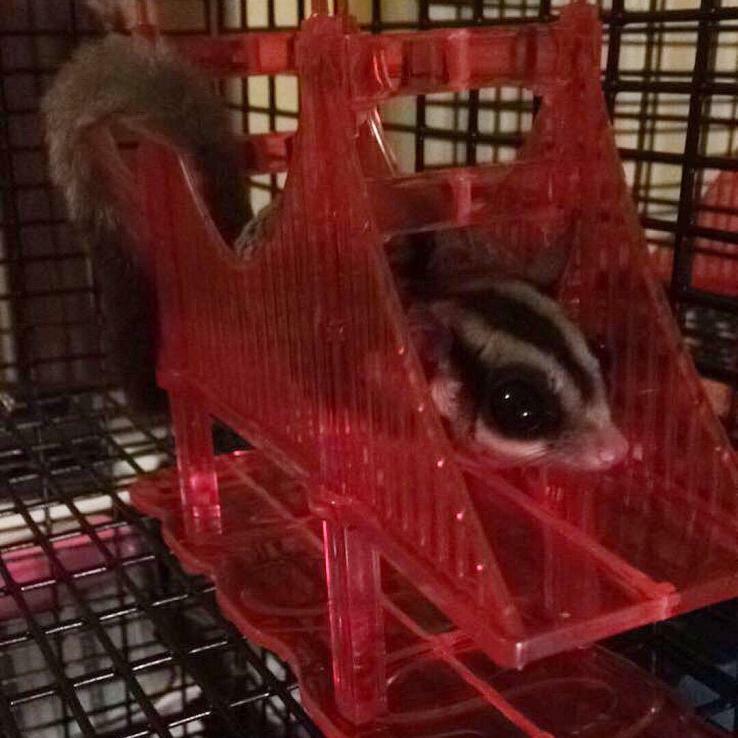 Also, I recommend doing a search on sugar glider cage setups to get ideas of what you can use. Be careful though, sometimes you will see some items that may be questionable for safety, some will use, some will not. I personally side with a "why risk it" attitude when it comes to my pets. I mention doing searches, because that's one thing that I did that really helped me, if I questioned anything, I'd make a post about that specific thing or area. Congrats on you new one!!! Thanks everyone! Here are some pictures of Thomas, he has a few bird toys now (including a pouch and some fleece!) I was a little hesitant to remove the heating rock because he does seem to love it, but I'd rather him be safe! Also! I am looking to find him a friend! We found a 9 month old female on Kijiji that needs a new home. Any tips on how to associate them? 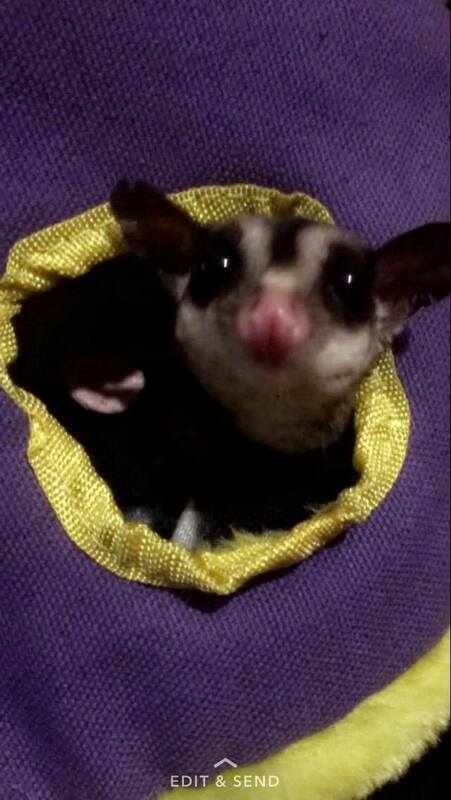 and does anyone's glider have a favourite toy?? Awe, he's a cutie little guy! Thanks for sharing pics. Could you please tell me what you used to post those pics? I used to use photobucket, but now they're charging outrageous fees to share or link pics. 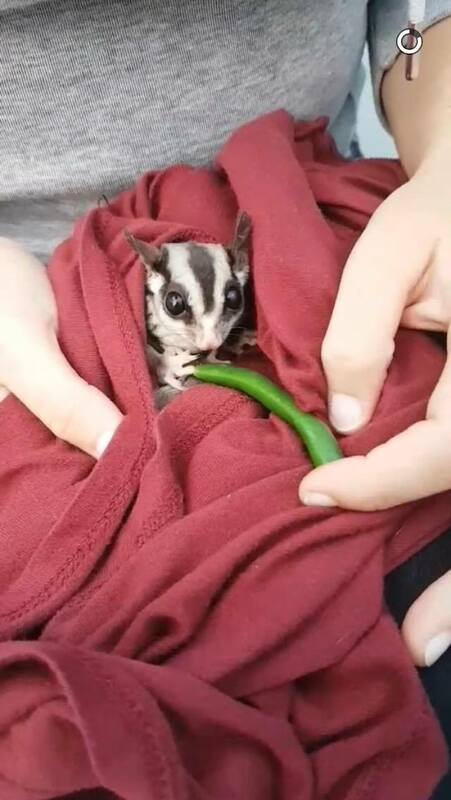 Here is my article on how to introduce two gliders: Introducing gliders. 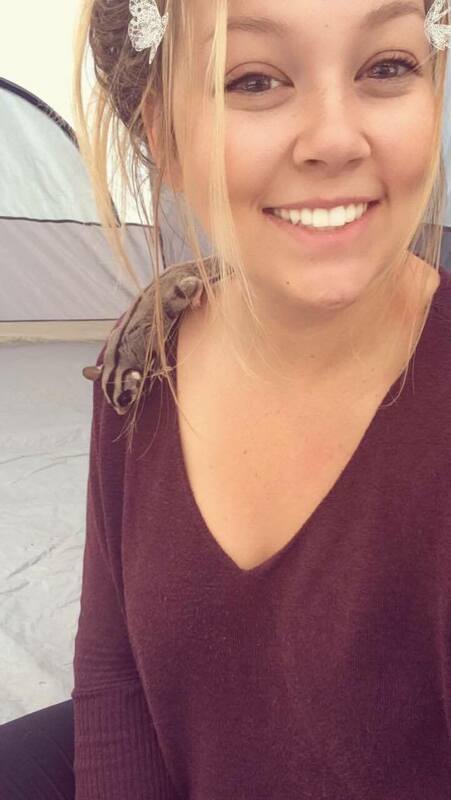 So adorable!!! Thank you for sharing pics!!! Yeah, Fiona really liked her heat rock too. But she learned to live without it. Once you are ready to start intros, it will make it easier for Thomas to take in his new buddy... Body heat with personality! Lol!! !